And I’ve got a new philosophy. I’d like a smaller buttocks. And a snazzier looking house. AND a classier looking blog. 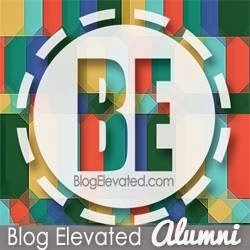 I started with my blog. Tones of gray mean, I love rain. And gray cats with blue eyes, and thunderstorms. POPS of GREEN! Say I love life!!! Freshly mowed grass, and Emeralds!! Frozen Mint Mojito on the side says, I’m tired, and I need a drink, with fresh weeds attached, because that’s the only thing still alive in my garden.. IT ALSO SAYS. . . .I’M STILL FUN. Don’t count me out just because I have 4 kids, a dog with no hair on his legs, and I love my husband. I CAN BE AN UNEXPECTED AND A DOWNRIGHT BLAST TO HAVE AROUND (if I’m not sleepy). So. . . .there you have it, my new blog masthead. I’m not sure how long it’ll be up there, but right now I’m really digging it. Onto different and serious additional business. Which has everything to do with YOU. 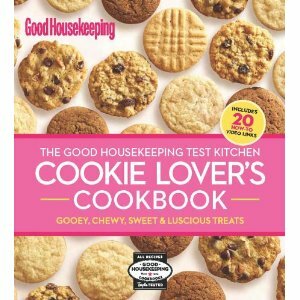 The Good Housekeeping Test Kitchen Cookie Lover’s Cookbook. WHICH HAS AN ENTIRE SECTION dedicated to Health Conscious Cookies. One of those recipes is . . . . Which, I have graciously provided here for you. because I love you so, I’m giving ONE away to a randomly selected lovely, sophisticated reader of my classier looking blog. So. . . . . . .
One entry per person, please. Or else all your New Years Resolutions will fall by the wayside, and you will be a miserable person. I know that was horrible thing to say, but entering twice was a horrible thing to do. Kidding. It wasn’t that horrible of a thing to do. You can enter twice if you want. But I’m only going to count it once. And your fingers might get tired. I am trying to cook more meals and home – and to spend more hours at work each week. 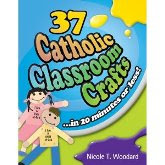 Please contact me at nickiwoo.thehomeguru@gmail.com to claim your prize. If the winner does not claim their prize within 48 hours, I’ll select a replacement and contact them. These chewy bars prove that a low-fat dessert can be just as flavorful as it high-fat counterpart. With just three grams of fat per blondie, you can have your “cake” and eat a second one, too. 1. Preheat oven to 350F. Line 8-inch square baking pan with foil; grease foil. In small bowl, with wire whisk, mix flour, baking powder, and salt. 2. In large bowl, with mixer on medium speed, beat butter and brown sugar until well blended, about 2 minutes. Reduce speed to low, beat in egg whites, corn syrup, and vanilla until smooth. Beat in flour mixture just until combined. Spread batter evenly in prepared pan. Sprinkle with pecans. 3. Bake until toothpick inserted in center comes out clean and edges are lightly browned, 35 to 40 minutes. Cool completely in pan on wire rack. 4. When cool, lift foil, with blondie, out of pan; peel foil way from sides. Cut into 4 strips, then cut each strip crosswise into 4 pieces, Store brownies in a n airtight container up to 3 days, or freeze up to 3 months.